The Brand Anavila stands for pure, rustic organic textiles and products. They are associated with craft clusters across the country and all their work is a result of interactions and interventions in these craft clusters. Connected to the brand’s earthy roots, they constantly strive towards reviving the dying crafts which are so rich in heritage and truly India’s pride. Essentially the materials used for the label are pure in the true sense. Zero waste recreating products of interest with scrap fabrics, threads and other materials are used. True luxury comes from comfort and ease and natural organic materials which are healthy for our skin and body. They increasingly work with pure natural materials finished and treated to highest standards, using natural or otherwise eco-friendly colours and woven in conditions which are healthy and weaver friendly.Anavila Misra believes in a new language in design which is deeply rooted in Indian crafts and textiles and yet fresh and contemporary. A post-graduate in knitwear design from NIFT, she started her eponymous label in 2011. Identity to me means references/symbols /thoughts and feel that comes to mind when you think of a particular brand. What does the power of influence mean to you? In today’s world we are all busy multitasking, travelling, discovering. It’s an era of digital lives with enormous referencing. How brand create their identities and use them communication is a strong influence on consumers. It’s like creating a common language across various nationalities but similar sensibilities. Would you describe your journey about creating the eponymous brand? It’s a very involved curation. You have to be very careful when your sensibilities and ideas have to become the language of the brand. Also it needs a very close monitoring and control. I live it 24/7. Very, for me it’s the heartbeat of the brand. It is something your brand stands for. It clearly defines the do’s and don’t’s for me. In an industry where you have fashion weeks literally every week, how often do you re-invent the wheel? You showcase when you have something to say to the audience , a new thought that’s worth a ramp. Is Inspiration a misused word in today’s fashion industry? It depends on brand-to-brand or designer-to-designer. I can’t create without inspiration. That’s how the process starts for me the story seeks me and we create a collection , which is the final outcome of the creative process. I need to sustain what I have created in the last few years. May be more products categories and more presence but an organic extension. How tough is survival for an off-beat brand, dealing with textiles and hand-looms? When I started it was difficult, hand-looms were not considered fashion it was mostly type casted. But this has very quickly changed over years. 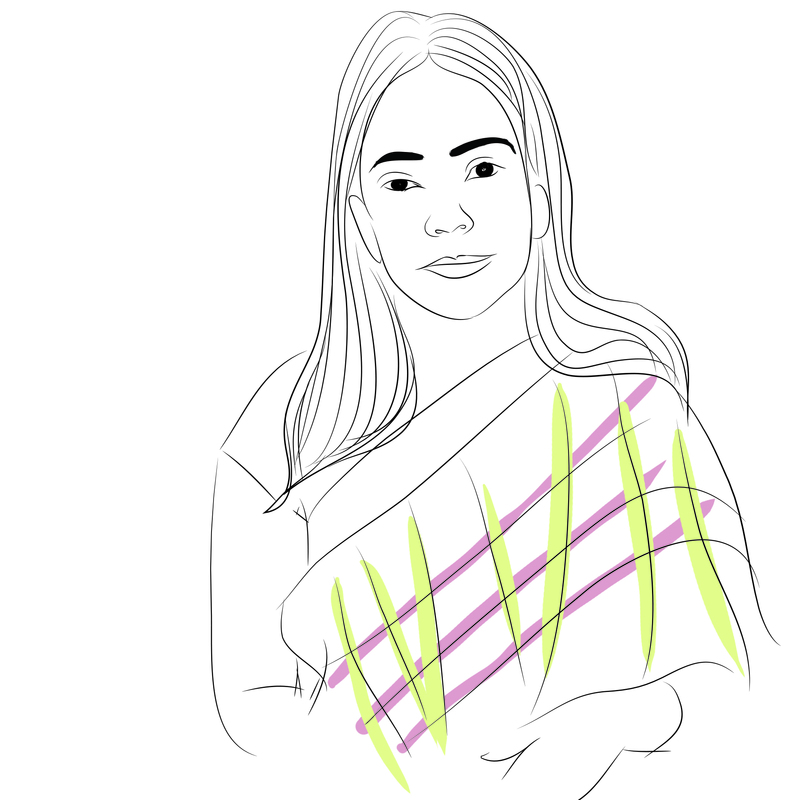 Indian women have started taking pride in Indian textiles. More and more designers are going back to the roots and giving Indian textiles a modern language. 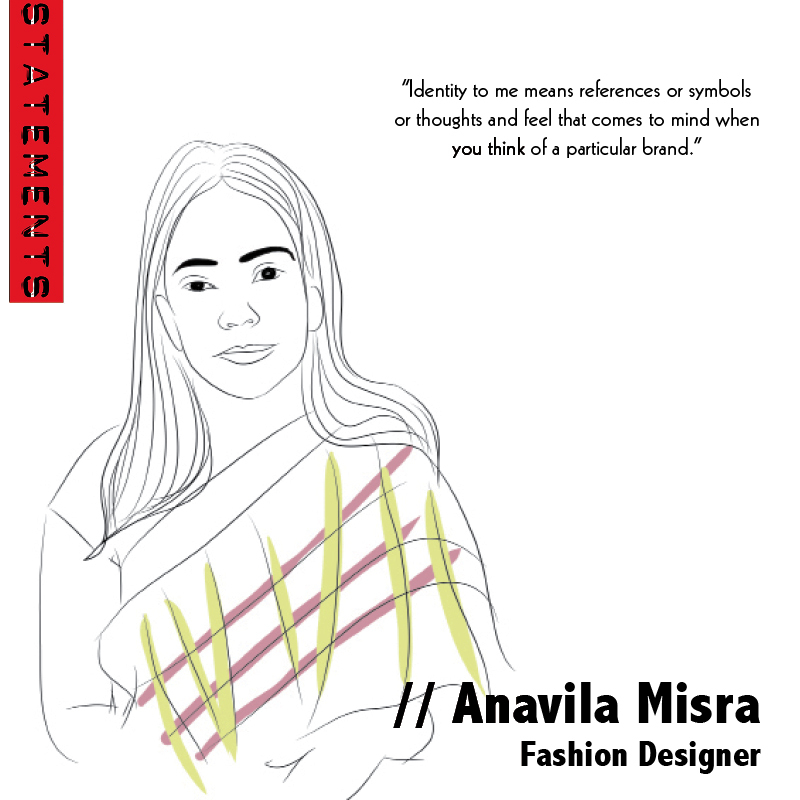 Who is the ideal Anavila Misra woman? A modern confident woman who knows herself. Who wears clothes which are an extension of her own personality and above all follows comfort / ease and elegance. This interview is a part of a series of interviews conducted for my graduation project titled ‘STATEMENTS’, based on my in-depth research and dissertation on ‘Influence & Identity’ in the world of Fashion. 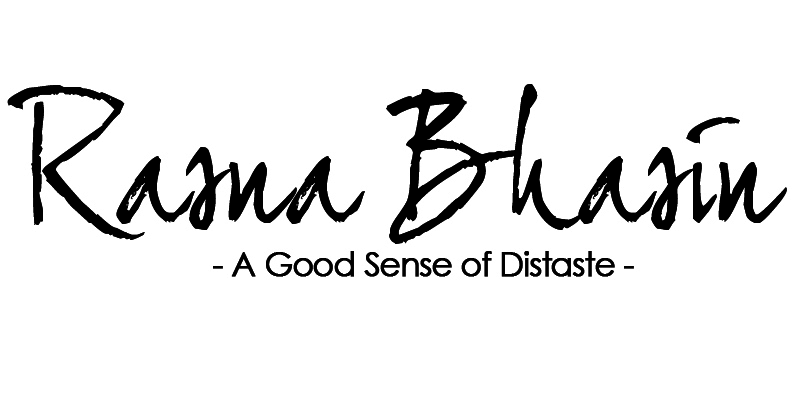 All illustrations by Naina Hussain. For the full book, click here. I have used linen, khadi and cotton mul yarns which are perfect for any summer resort collection. I am introducing stitched garments for the first time. It is very important for me to work on commercially viable fashion. Eventually the fashion has to trickle down from the runway to the stores and then to wardrobes,” emphasises Misra.